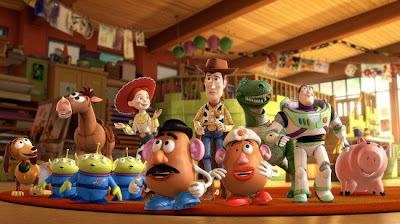 Ever since the first Toy Story came out, I just knew these characters would have an endearing way of taking me back to those fond childhood memories of playing with my collection of assorted action figures, hot wheels, and other various pieces of my childhood. Little did I know that, by the time the third movie came out, these iconic and imaginary heroes would define that experience for anyone who has ever had a bunch of toys scattered around their bedroom. 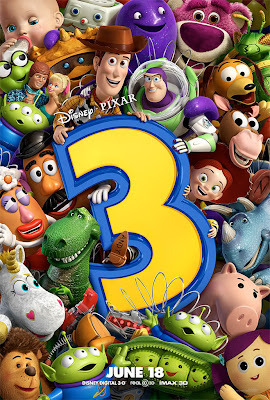 Pixar has an amazing ability to create characters that you truly care about and Toy Story 3 brings closure for the group that got it all started. 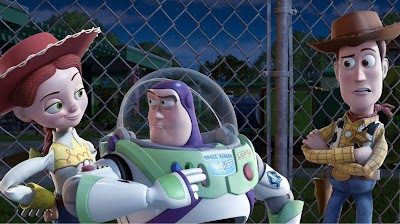 Buzz, Woody, and the rest of the gang are facing a major change in their lives as their owner Andy will be leaving his toys behind as he heads off to college. Between almost getting thrown away and being donated to a day care by Andy’s mother, the toys begin to realize they are about to begin an entirely new journey. 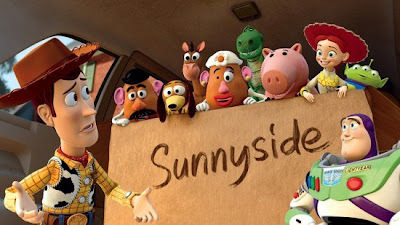 Upon arriving at Sunnyside Day Care, the band of toys is introduced to a whole new group of misfit and castaway toys that have all learned to live what appears to be a good life surrounded by children. The leader of the day care toys is a purple bear named Lotso that smells of strawberries. He gives the newcomers a tour of their new home and promises a better life than they have even known before although after a few enlightening events, our heroes begin to realize that things may not be as they seem. With the foundation laid for yet another amazing adventure, the toys, led as always by Buzz and Woody, are in for a ride they never could have imagined. 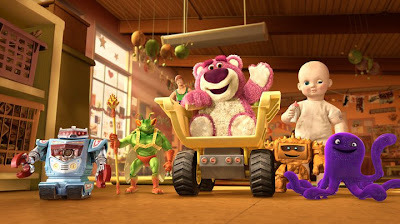 This big adventure in a small world approach has been the hallmark of this Toy Story films and Pixar pulls out all the stops to make sure this final chapter lives up to its predecessors. 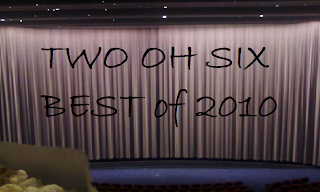 The action is fast paced and the emotion is about as heartfelt as it gets as the trilogy reaches a conclusion that is wrapped up just about as perfectly as you would ever want it to be. 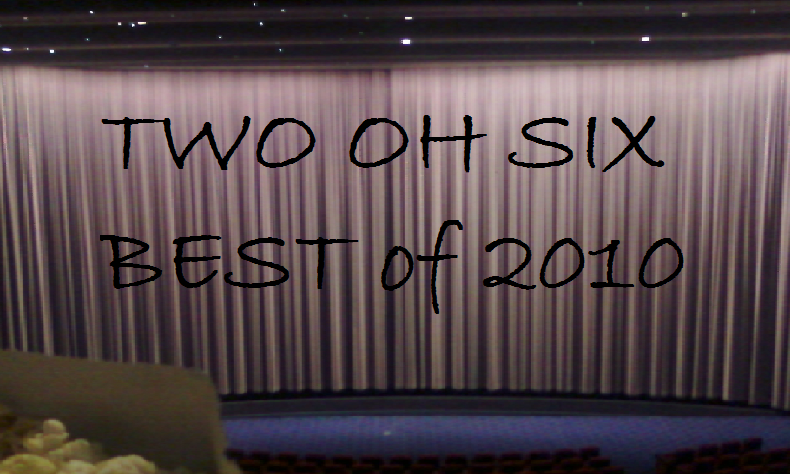 Obviously, I won’t tell you how the story ends, but be prepared to experience just about every type of emotion possible as you watch this film. It truly and literally is a work of art that should not be missed.